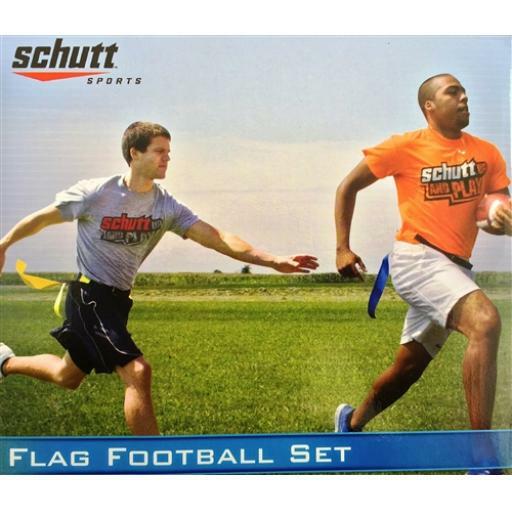 Schutt Sports Flag Football Set. Schutt Sports Flag Football Set. 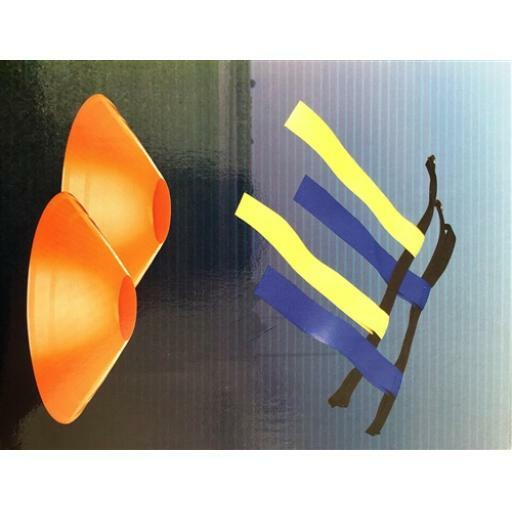 Ten Flag Belts (5 yellow and 5 blue. 2 flags per belt). 4 orange end zone cones. Fits most players (24-40" adjustable waist size). Flags attach securely to belts with hook and loop.